Founded by the noble family behind Champagne Taittinger, Claude Taittinger's search for a worthy U.S. counterpart began in the late 1970s. In 1987 he selected a 138-acre parcel in the heart of Carneros, Napa Valley. Wisely selecting Eileen Crane to oversee the development of the winery and vineyards, the team created the quintessential California expression of the Taittinger style in Carneros. 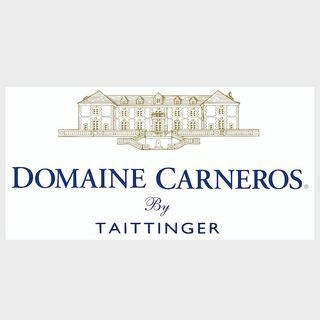 The heart of Domaine Carneros has always been sparkling wines, with distinctive styles ranging ... Maggiori informazioni from the classic vintage-dated Brut cuvée to our luxury Le Rêve Blanc de Blancs. In 1992 we added rich, complex Pinot Noir to our portfolio and our passion for sparkling and still wines continues to grow. Learn about sparkling winemaking and Eileen Crane, Pinot Noir winemaking and TJ Evans, and our portfolio of wines. All of our wines proudly hail from the Carneros appellation, and 95% of our fruit comes from our estate vineyards. More on our vineyards.